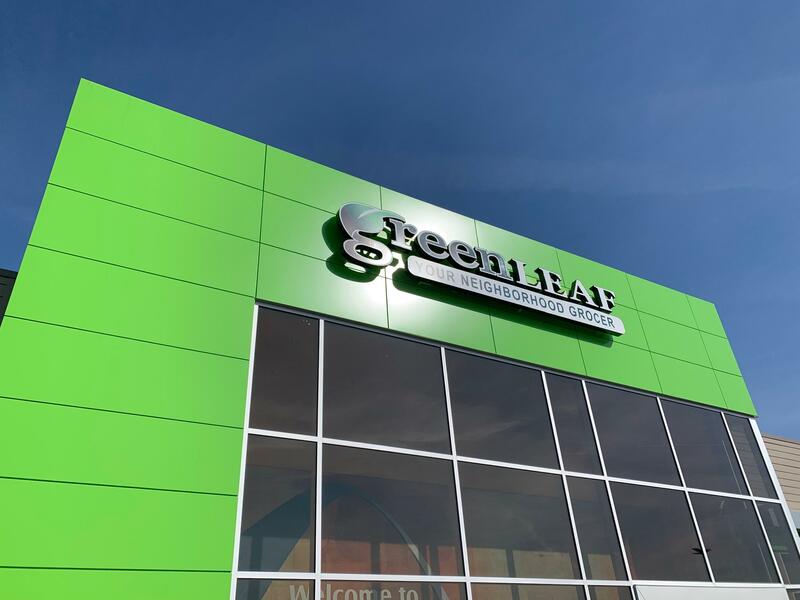 Updated 3:45 p.m., April 2 with the City of St. Louis reissuing building permits for Northside Regeneration's planned urgent care facility — The GreenLeaf Market at the intersection of North Tucker Boulevard and North 13th Street will open this month. It is the first project developer Paul McKee has completed in has massive Northside Regeneration plan after more than a decade. The market will open April 13. Across the street, the ZOOM convenience store and gas station opened in October. The two buildings mark a total investment of more than $20 million and the creation of 72 jobs in north St. Louis. The 20,000 square-foot grocery store will sell produce from family farms through a partnership with the Good Natured Family Farms' cooperative alliance. McKee said the project serves as a catalyst for the rejuvenation of the area, which will eventually include the new $1.75 billion National Geospatial-Intelligence Agency West headquarters. Alderwoman Tammika Hubbard represents that area of the city. She says the project, especially the grocery store, fills a need for economic development and healthy food options in the area. McKee’s overall plan for the north side was thrown into question last summer. The city of St. Louis claimed the developer was in default and moved to sever the agreement. “Everything has its process,” McKee said, adding the project, originally announced in 2016, probably should have been completed sooner. “It’s the end of the beginning, and it’s the beginning of a new day,” he said. A ribbon cutting and special tour of the store took place Monday, April 1. The store will open to the public in a couple of weeks. The project is partially funded by a one-percent community-improvement district sales tax and $2.8 million dollars in tax-increment financing. McKee re-submitted a request for permits for a three-bed urgent-care center in the former Pruitt-Igoe housing site. The city approved those permits Monday, according to building commisioner Frank Oswald. McKee also said 500 new residential units are under construction. Congressman Lacy Clay also attended the ribbon cutting, calling it a huge day for the neighborhood. 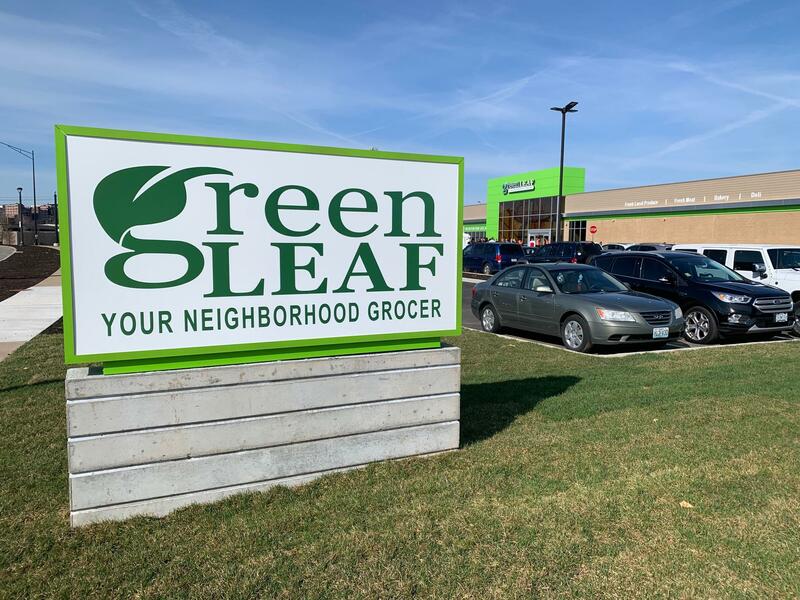 Editor’s note: An earlier version of this story included a claim from Northside Regeration that GreenLeaf was the first grocer to open in north St. Louis since 1968. Others may have opened more recently, including the Schnucks at Natural Bridge and Union in 1998. Updated 2 p.m., March 30, with comment from Paul McKee's spokesperson — The design builder for developer Paul McKee's planned urgent care facility has asked the City of St. Louis to reinstate its building permits, according to a press release sent Saturday by a McKee spokesperson. Delays at the construction site, which the city had marked "abandoned," were caused by the federal government shutdown, which delayed the issuance of tax credits, according to the statement. Design builder KAI plans to resume construction at the site by June, according to the statement. A three-bed urgent-care hospital planned by developer Paul McKee has lost its city building permits. In December, after months of inactivity at the site, the project’s partial walls collapsed. Last month, the city marked the site as “abandoned” after little communication from the contractor, St. Louis Building Commissioner Frank Oswald said. This article first appeared in the St. Louis Beacon, Oct. 14, 2010 - Eminent domain -- one of the main issues in the lawsuit against Paul McKee's proposed $8.1 billion redevelopment project in north St. Louis -- is the key in talks to settle the case, lawyers said Thursday. After Circuit Judge Robert Dierker Jr. accepted filings from all parties in the case, with a ruling due by Oct. 27 on the city's request for a new trial, McKee's attorney Paul Puricelli said that "very serious discussions" toward settling the dispute are continuing. But at the same time, lawyers for the plaintiffs are bickering about whether the talks are properly representing everyone involved. The St. Louis Board of Estimate and Apportionment will allow the release of a $2.8 million tax increment financing note for developer Paul McKee’s planned grocery store and gas station.